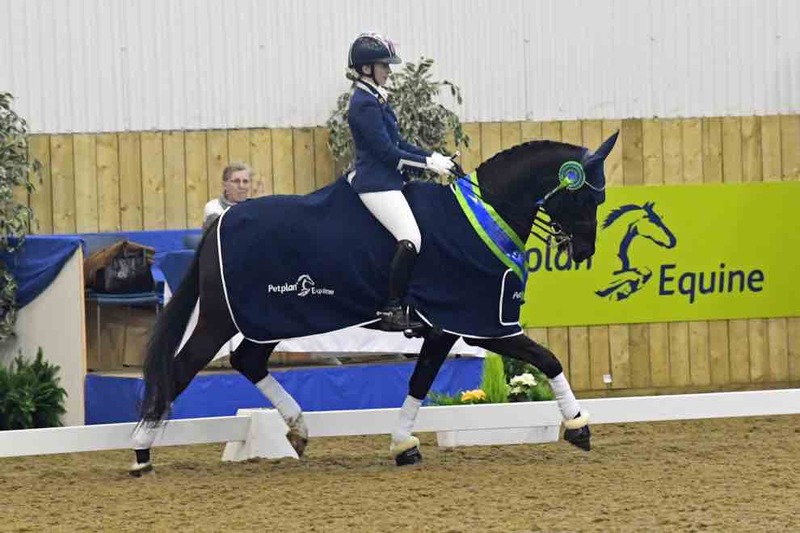 Winners of the Petplan Equine Medium Under 21, Danielle Balsdon and Lord Lennox from Poltimore in Exeter were delighted with a top place position in a very competitive class at Hartpury College, Gloucestershire on Sunday 7 April 2019. Danielle was thrilled with Lord Lennox’s performance in an electrifying atmosphere with some exceptional partnerships competing for the Petplan Equine Medium Under 21 title. The combination qualified through two rounds of competition and won their place at the Championship at the Petplan Equine Area Festival Final at Bicton Arena in 2018.Lord Lennox is a 16.1hh nine year-old black gelding, sired by L’Espoir. The partnership clearly impressed the judges with an elegant performance achieving a winning score of 68.73%. The Petplan Equine Area Festivals provide riders from Preliminary to Intermediate II level with the chance to experience the thrill of competing in top competition style conditions. 24 Area Festivals took place all around the country in 2018 and eight Area Festival Finals where those contending the Championships qualified.